CLEMSON, S.C. (AP) _ Clemson backup defensive end Ebenezer Ogundeko has been dismissed from the football team after he was arrested and charged with financial transaction fraud for altering a credit card used to purchase gift cards. The 19-year-old Ogundeko and 19-year-old Kalia Broome were discovered with 29 gift cards in their possession. Ogundeko acknowledged working with another person to change the card. 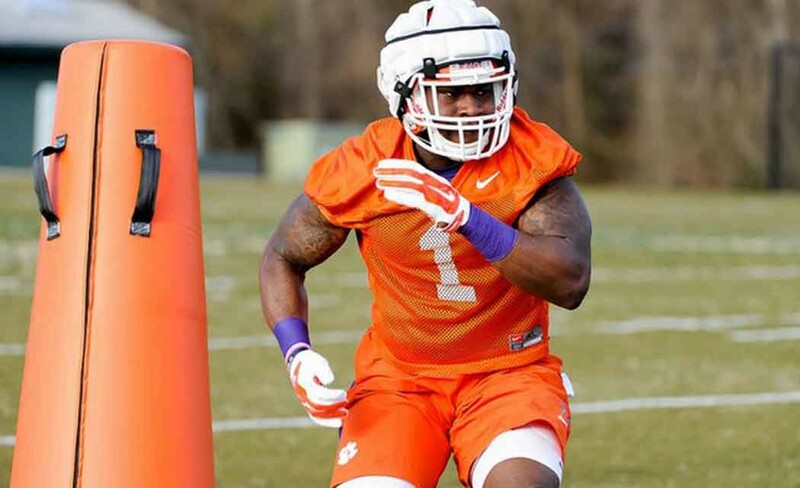 Clemson coach Dabo Swinney said in a statement that Ogundeko was dismissed on Tuesday for violating team rules. Ogundeko, from Brooklyn, New York, made five tackles last season. He was expected to compete for a bigger role this season.